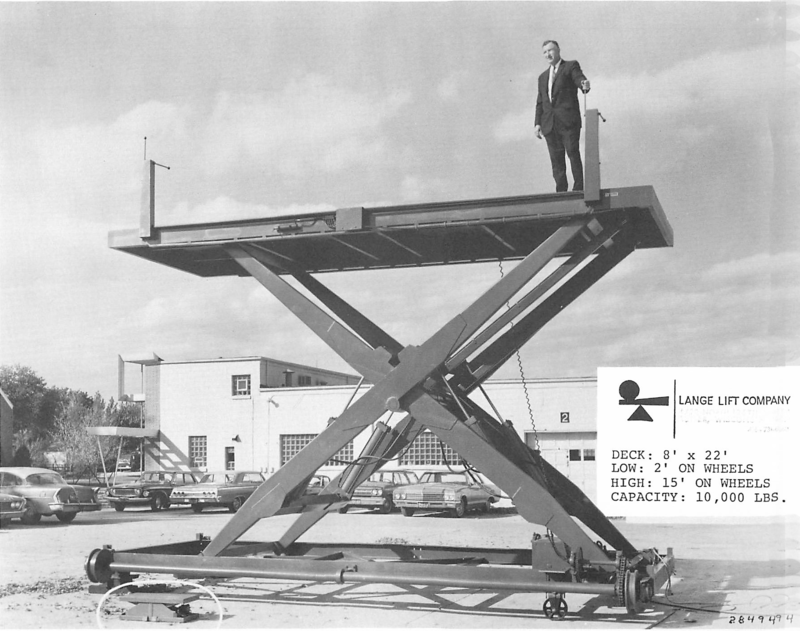 Since 1934…Lange Lift has been manufacturing high ­quality hydraulic lift tables, scissor lifts, and custom lift ­products for material handling in a wide array of industries across the world. Anthony Lange, founder and creative talent, proved to be ahead of his time in his ability to design ergonomic lifts with exceptional functionality and longevity. Anthony built his brand by word of mouth, letting the product speak for itself. As his brand grew, with it came a reputation of being the go to lift manufacturer for durable lift tables that are built to last. His creative vision didn’t stop at standard products. 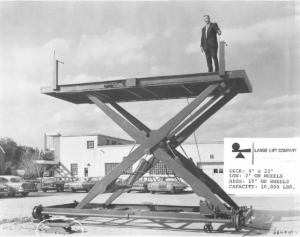 Lange Lift became a world leader in solving unique challenges for ­customers with lifting applications that didn’t have a one size fits all solution. Mr. Lange was the vision and strength behind the company until his death in 1994. In early 1995, the Lange family sold the business to Dan ­Knaebe, the owner of Hevi-Haul International, a manufacturer of industrial skates and roller dollies. Lange Lift used to be right behind Hevi-Haul in Butler, ­Wisconsin. Dan’s grandfather, a manager at Paul J. Kordes Co. urged his grandson to purchase the company one day. He did. He eventually brought both companies under one roof. 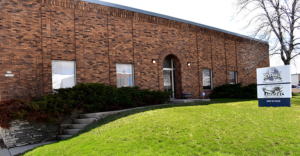 To this day, all of our products continue to be manufactured in the United States at our factory in Menomonee Falls, Wisconsin. We’re still a family owned small business that has ­carried on the tradition of it’s founder. We continue to expand upon his creative vision using the improved processes and ­manufacturing technology available to us today. We are humbled by the continued trust in us by our customers, from major multi-national companies to small job shops, to manufacture and deliver the highest quality lifts available.